Why this pair of Hustle Harts has a deeper meaning to Kevin. Though Kevin Hart is already working on a Hustle Hart sequel with Nike, he isn't quite done with the original just yet. 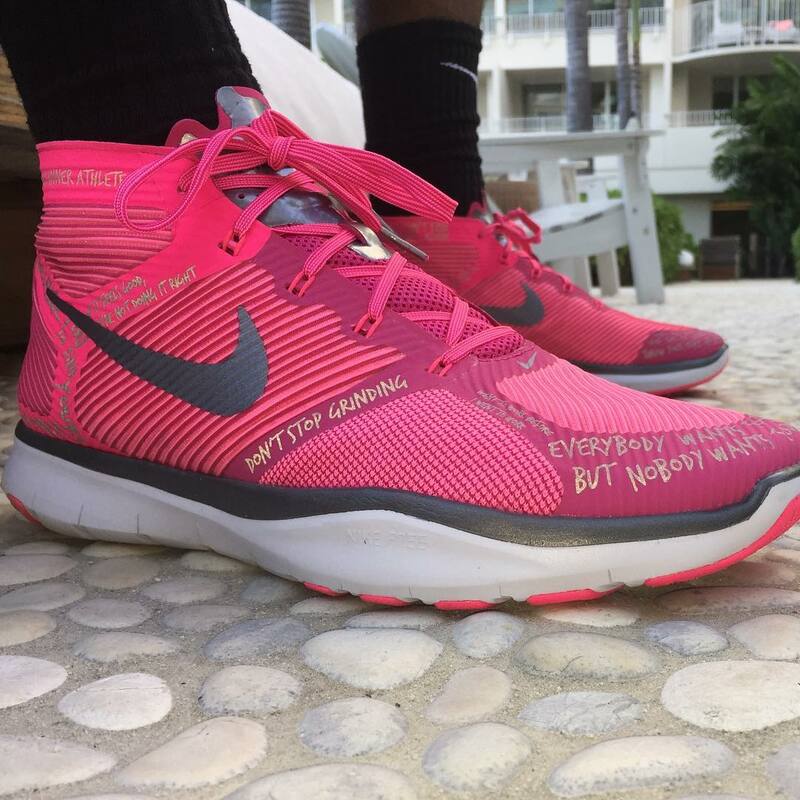 This week, the comedian and his trainer were spotted wearing the Nike Free Train Instinct Hart in an unreleased bright pink colorway for Breast Cancer Awareness Month. The motivational quotes on the sneaker make a perfect fit for the initiative. Hart himself has been affected by breast cancer, as his beloved mother Nancy passed away from the disease in 2007. As of now, there's been no word of a release for the BCA Hustle Harts.